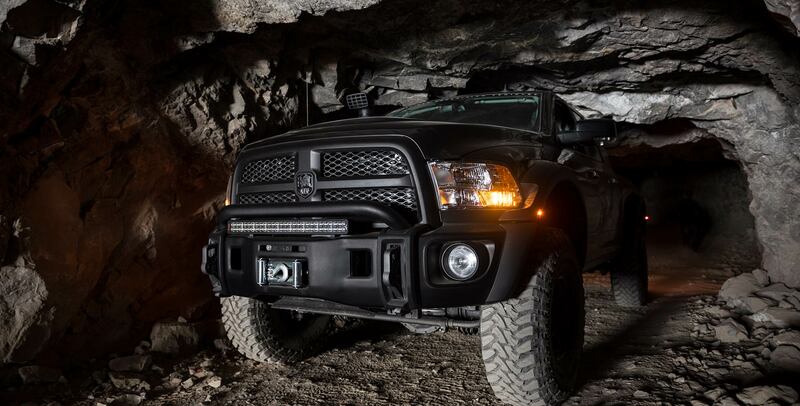 Auxiliary driving lights, an LED light bar, front and rear lockers and an on-board air compressor are all common upgrades for any off-road enthusiast but finding a convenient and easily accessible mounting location for all those switches can be daunting task. 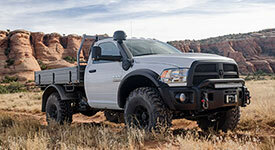 AEV’s Switch Pod for the 2013-18 Ram 1500 and 2013+ Ram 2500/3500 is designed for the DIY installer who is looking for a clean, functional mounting location for up to 6 auxiliary switches. Specifically molded to fit the contours of the Ram’s dash board without being too obtrusive, this switch pod sits just above the radio, keeping all your important switches safely within arm’s reach. The AEV Switch Pod is painted black to match the Ram’s dark interior trim pieces but can be custom painted to match any color combination. Installation is very straight forward and will take less than an hour on most trucks. AEV recommends using Carling Contura II rocker switches (not included) but a number of other aftermarket switches may also work.